Known as an old world counterpoint to the iconic Penfolds Grange. The Penfolds St Henri Shiraz is sourced from the same hallowed ground but rather than being aged in new American and French oak barrels the St Henri sees only time in 50 year old large oak vats. This wine is a window in to how great Aussie Shiraz was made decades ago. We scored 3 more bottles!! 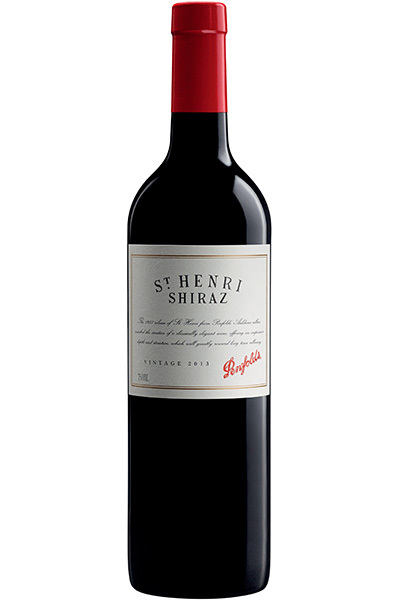 Described by Peter Gago as the antithesis of a ‘show wine’, Penfolds' much loved and admired St Henri Shiraz continues to plough its own furrow in glorious style. In many ways it is a superb counterpoint to the more senior Grange, having been aged in large, old oak vats. The nose here is cocoa powder and summer pudding with a touch of mocha. This segues onto a palate of red and black fruits, dark chocolate, graphite and liquorice. St Henris are usually built for the long haul thanks to their acidity, fruit and densely populated tannins, and this is no exception. Superbly structured, juicily vibrant, sweet and balanced, this is tempting to broach now. However, I’d leave it for a couple of decades and wait for the magic to unfurl.